The Mitel 50006580 MiVoice Conference Phone gives you high definition audio quality and superior far end voice clarity. The phone is perfect for business of any size, as it addresses the needs of a wide variety of meeting spaces right from the personal office to executive boardroom. The phones has a Beamforming Technology that focuses 16-microphone arrays on active talker. When the phone is directly connected to a projector or monitor via an HDMI cable, it becomes the “central hub” for users to quickly access & display meeting materials or cloud-based collaboration sessions to other participants in the room. Embedded browser support lets you access the web-based services easily. 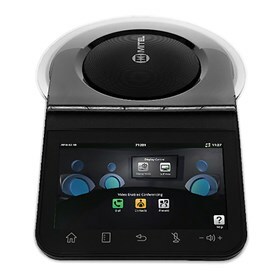 The Mitel MiVoice Conference Phone (50006580) has many exciting features for users of all types. You can extend the lifetime of your Mitel MiVoice Conference Phone (50006580) with the purchase of a FactoryOutletStore Factory Protection Plan. See the Mitel MiVoice Conference Phone (50006580) gallery images above for more product views. The Mitel MiVoice Conference Phone (50006580) is sold as a Brand New Unopened Item.